Microsoft announced today that 46 apps are on the way for Xbox One, including the long awaited HBO Go and Showtime Anytime apps. The new additions will increase the number of apps available for Xbox One to over 225. Twitter, Vine, Comedy Central, and Major League Gaming (MLG) are among the new apps slated to release by year’s end. Microsoft is particularly vocal about the way Twitter will be integrated with Xbox One, allowing viewers (U.S. only) to see tweets related to cable or satellite TV shows as they’re watching. 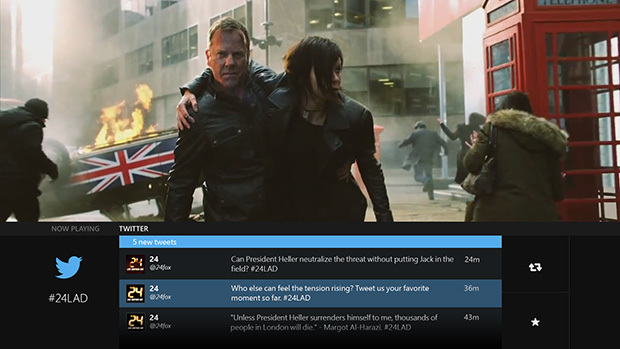 The Twitter feeds will also be integrated into the TV listings section of OneGuide where users will be able to see which shows people are tweeting about in real-time. The announcement comes with the latest Xbox One system update that’s currently rolling out worldwide, and five days from the Xbox: Game On briefing at E3 on June 9. Aaron Treguboff is a writer, gamer, and social media consultant. Some of his favorite new games include Monaco, BioShock Infinite, Last of Us and Hotline Miami. You can also find Aaron at Gameverse and Google+. the database of bollywood movies but also the movies coming from all walks of life.